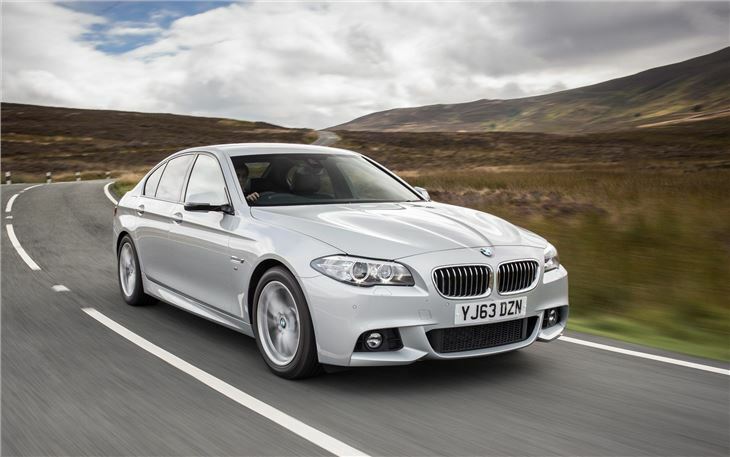 The current 5 Series has become one of BMW’s best selling models. 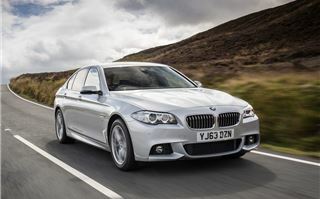 However, three years is a long time in automotive terms and with the likes of the Mercedes-Benz E-Class and Audi A6 on its heels, BMW is giving its popular saloon an overhaul. It’s not the most obvious of facelifts though – at a glance the new 5 Series looks pretty much identical to the outgoing car, but there are restyled bumpers and new, slimmer tail lights. Other changes include new trim levels, with an entry level SE model and M Sport as before, plus Modern and Luxury trim levels. 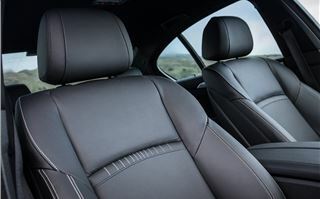 These bring unique materials, with light leather and wood on Luxury and darker leather and metallic dash inserts on the Modern. On top of that each model gets its own subtly unique exterior styling. 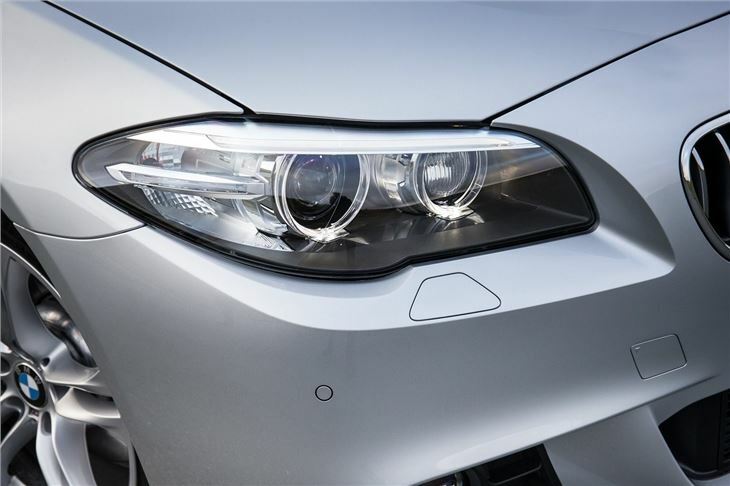 If you’re not too concerned about appearances there’s not much need to upgrade from the entry level SE trim, though, thanks to a more generous level of standard equipment. 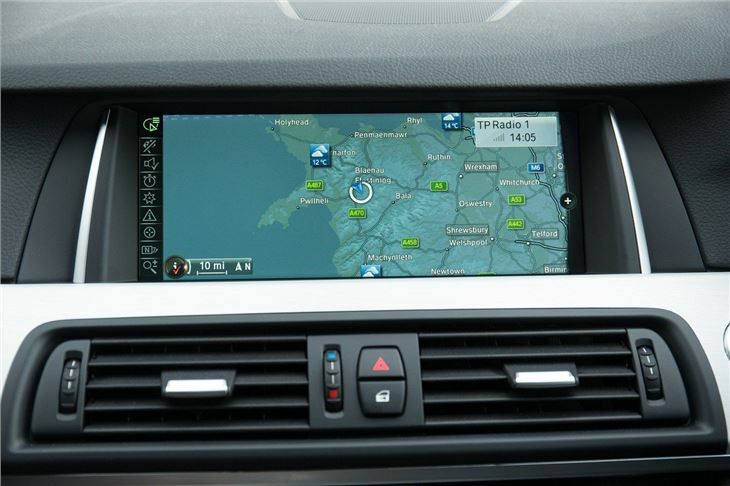 All cars now come with Business Navigation or if you opt for a six-cylinder model, Professional Navigation. 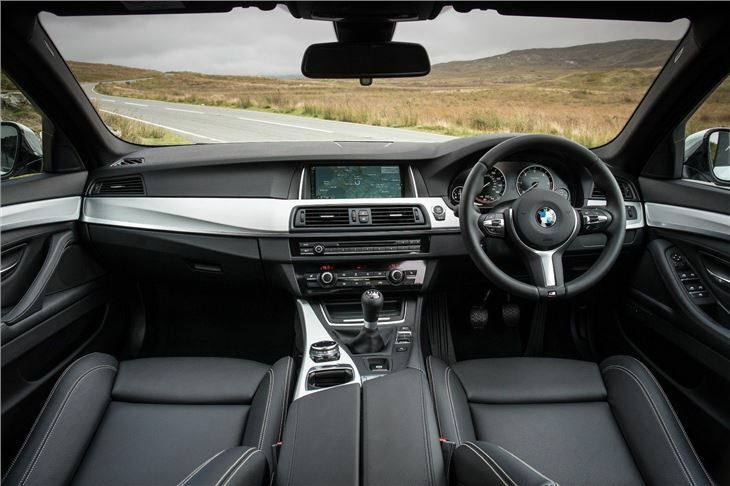 Add to that leather upholstery, dual zone air conditioning, DAB radio, xenon lights, parking sensors plus automatic lights and wipers and it’s a generous specification. 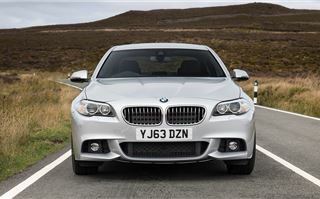 However, perhaps the biggest change to the updated 5 Series is the addition of a new entry level engine - the 518d. The lower powered engine produces 143PS with CO2 of just 119g/km and official economy of 62.8mpg. 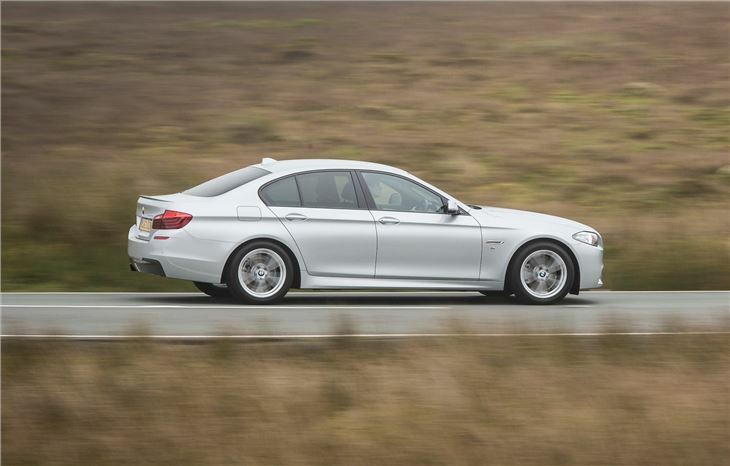 Emissions and economy wise it's identical to the 520d, though, so why opt for the 518d? 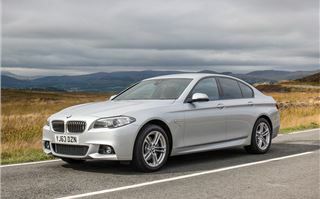 Essentially it all comes down to price - the 518d is £1700 cheaper than the 520d. To a private customer that might not matter too much but for a fleet operator ordering two dozen cars the savings all add up. 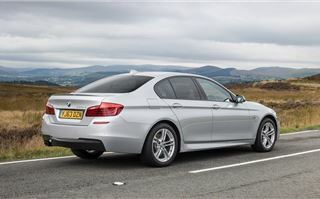 Not only that but for company car drivers it means a lower P11d value and consequently a lower company car tax bill. That's all well and good on paper but it's only going to appeal if the car is good to drive. 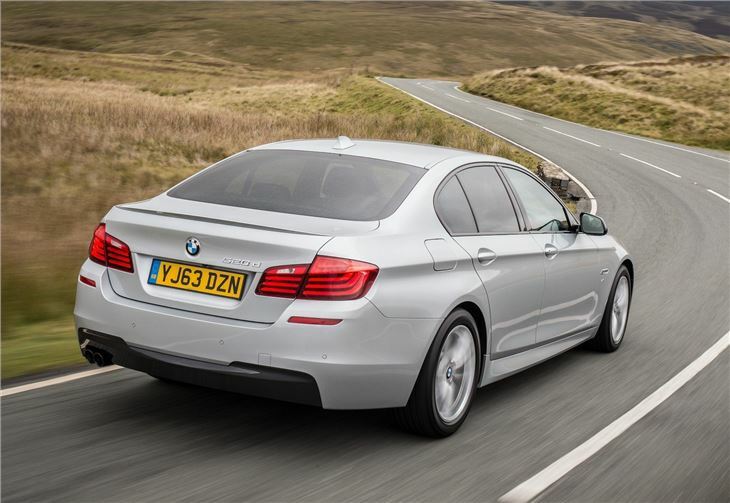 Despite the name, it’s the same 2.0-litre diesel as fitted to the 520d and performance is similar. 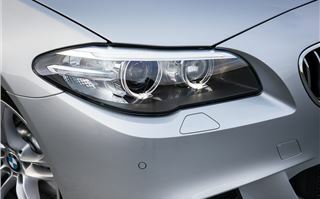 Peak torque is 360Nm, which is just 20Nm short of the 520d. It’s not available across quite as much of the rev range – 1750-2500rpm as opposed to 1750-2750rpm – but the difference between the two is barely noticeable in real world driving. 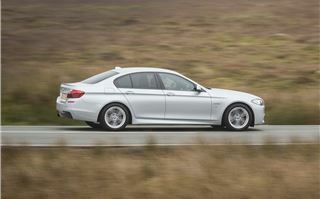 Indeed performance is very good – 0-62mph takes 9.7 seconds and top speed is 132mph. In-gear performance is strong too, which makes overtaking fairly easy. 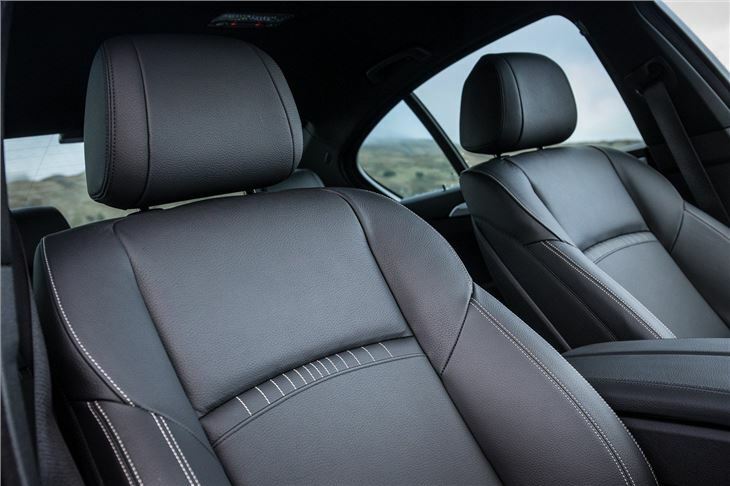 The suspension is excellent, offering a near perfect blend of ride comfort and body control, which means the 518d is comfortable and relaxing most of the time. However, it's enjoyable to drive, thanks to well-weighted, precise steering and handling that belies the cars size and weight. The manual transmission is fine, with a slick action, but the smooth 8-speed automatic is a much better choice. Chances are that many 5 Series drivers will spend a good amount of time on the motorway though and despite being the least powerful model in the range the 518d doesn’t feel out of its depth. It’s refined – at 70mph there’s barely any noise at all, which is helped further by keeping the standard 17-inch alloy wheels rather than upgrading to larger ones. Longer trips are made more comfortable by a very well finished cabin. The driving position is great, with a good view of the road and plenty of adjustment. 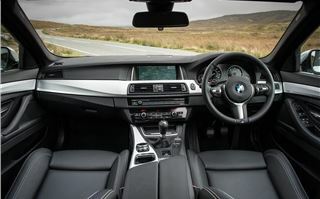 Material quality is up there with the best, with soft touch materials on the dashboard. Lower down the plastics are hardwearing and solid but still feel well made, rather than scratchy and flimsy – but that’s to be expected on a large executive car. Practicality is good. 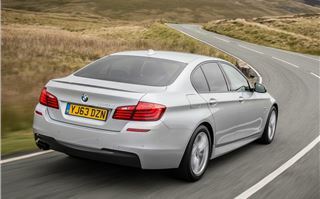 The rear of the cabin is spacious with loads of head and legroom while the boot is a good size at 520 litres – though this being a saloon it’s not as practical as a wide-opening hatchback. One nice touch is a cavernous extra storage bin in the boot capable of easily swallowing a pair of large drinks bottles, keeping them from rolling around in the boot. 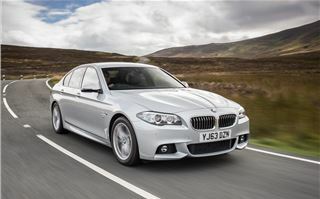 This being a large executive car means there are plenty of optional extras despite the generous standard spec. Buyers can specify technology packages including features like night vision assistant that has a thermal imaging camera. 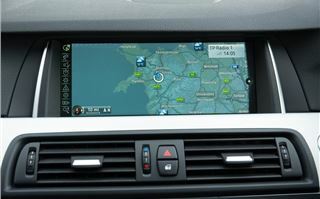 There’s also a range of other safety features such as lane departure warning and collision mitigating braking, plus nice extras like a head up display which projects information onto the windscreen into the drivers line of sight. The addition of the 518d brings the entry price for the 5 Series to below £30,000. 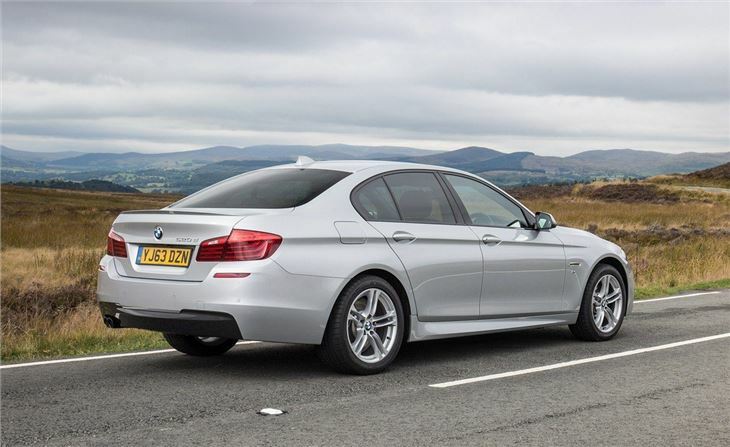 Neither Audi or Mercedes-Benz can currently match that and while Jaguar can with its 2.2-litre diesel, the 518d has it comprehensively beaten on emissions. It wouldn't be a surprise if rival manufacturers started offering a similar, less powerful entry point to their model ranges. 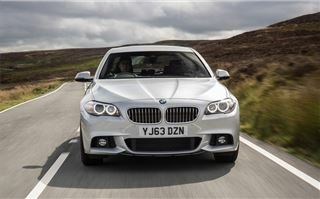 The subtle tweaks to the new 5 Series make it an appealing option for company car drivers. The 518d might not be as powerful as the rest of the 5 Series range but it doesn’t feel like a compromise and it has more than enough performance to make it feel as good as the 520d.